It’s hard to think of Santorini without envisioning hordes of visitors descending from their cruise ships onto the small and winding streets of the famous Greek Island. Sadly, the beautiful and once peaceful island is now associated with overcrowding as much as it is associated with the blue and white domes that fill our dreams. It’s easy to understand the difficulties any island faces — limited space and basic infrastructures — imagine what 18,000 daily cruises, at the peak of Summer, would do to the tiny villages and beaches. However, we at Modern Getaways Mag, are here to prove that you can still very much live your dream of spending the summer hopping from one island to another, swimming, napping under an umbrella and sipping chilled white wine, while helping to keep tourism sustainable. Be warned, serious wanderlust ahead. Just across the Aegean sea, facing Paros, Antiparos is where low-key cosmopolitans and a few celebrities seek refuge in the hot summer months. The island itself is small, and can be visited in a day if you rent a car – or a motorbike for those of us that like the thrill of feeling the wind in our faces – but the relaxed charm of its volcanic coastline will make you want to stay for longer. 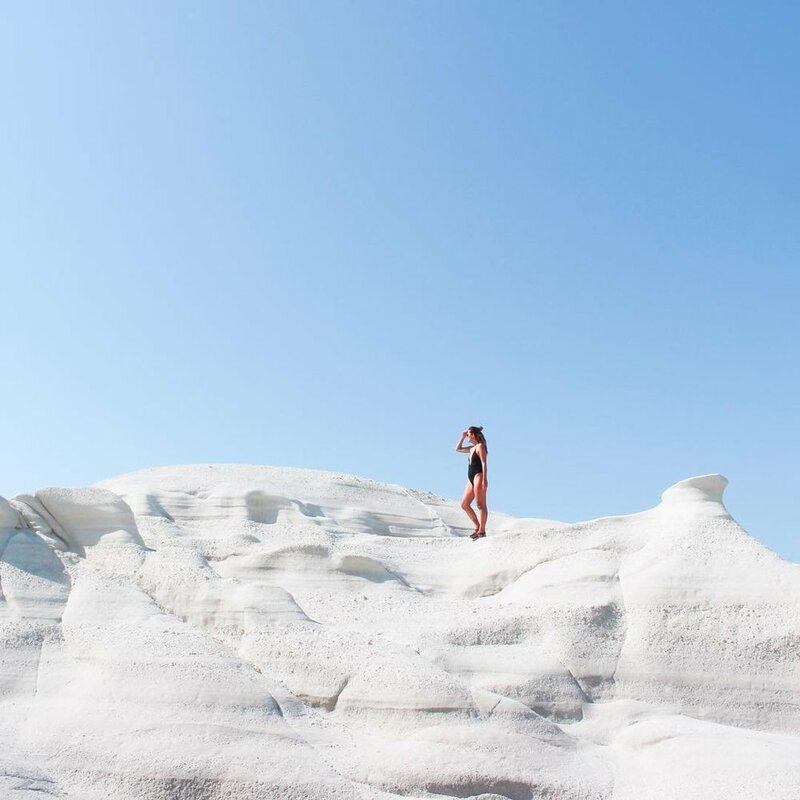 While references to the beautiful island of Milos are present throughout history, the Venus of Milos being the most well known, it remains relatively overlooked by visitors to the Cyclades. All the better, we say, since the ones who decide to visit this luminous island can have its turquoise bays entirely for themselves. And after you’re done with swimming for the day, head out to the waterside taverna Medousa for food that rivals the views. Turquoise, indigo, azure, teal and cerulean are just a few of the shades of blue we found while beach hopping around Paxos. The small island on the Ionian sea, mostly known by its pool-like blue waters, is peaceful and intimate heaven for those in need of cool-refuge. The genuine friendliness of local Paxiots, the unspoiled scenery of olive groves and tall, rugged cliffs, makes holidaying here a memorable experience. There are many things to love about Hydra, the most laid-back Greek island, sitting in the Saronic Gulf. Besides its fantastic coastline, pristine blue waters and quaint little houses, Hydra is without vehicles. It's the local's distaste for the automobile that has prevented heavy construction and overdevelopment. Without ruined temples to visit, there’s little to do beyond sleeping, swimming in the crystalline waters of Avlaki beach and sipping cocktails at Papagalos. Blissful! If you ever saw The Big Blue, then Amorgos has surely been your bucket list destination whenever someone mentioned Greece. If you haven’t, then let us describe this hidden-away Cycladic island. 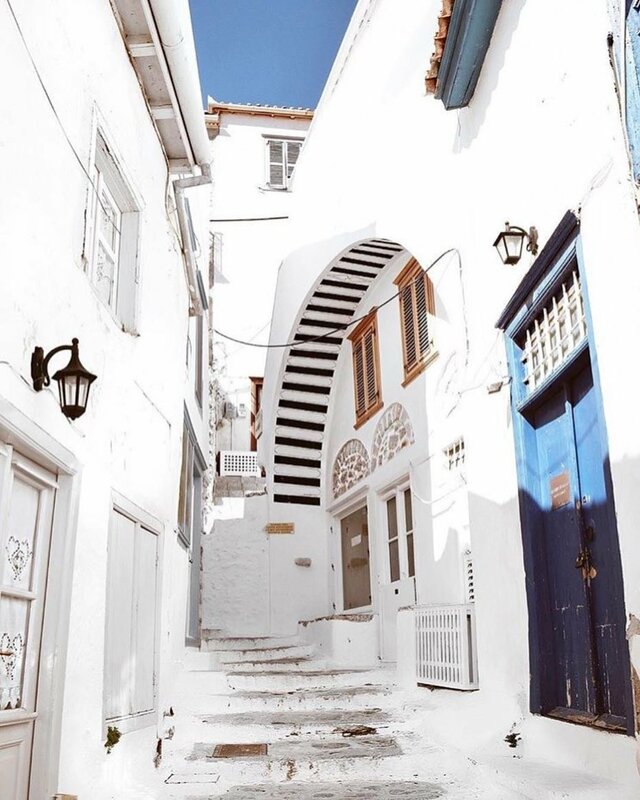 It's narrow, maze-like streets with the ubiquitous whitewashed houses open up to a dramatic coastline of pristine blue waters. It's also home to a famous monastery perched dangerously on the cliffs of the south coast. It requires some effort to get to, which only helps to keep the island as the refuge from the rest of the world for prestine hiking and swimming. 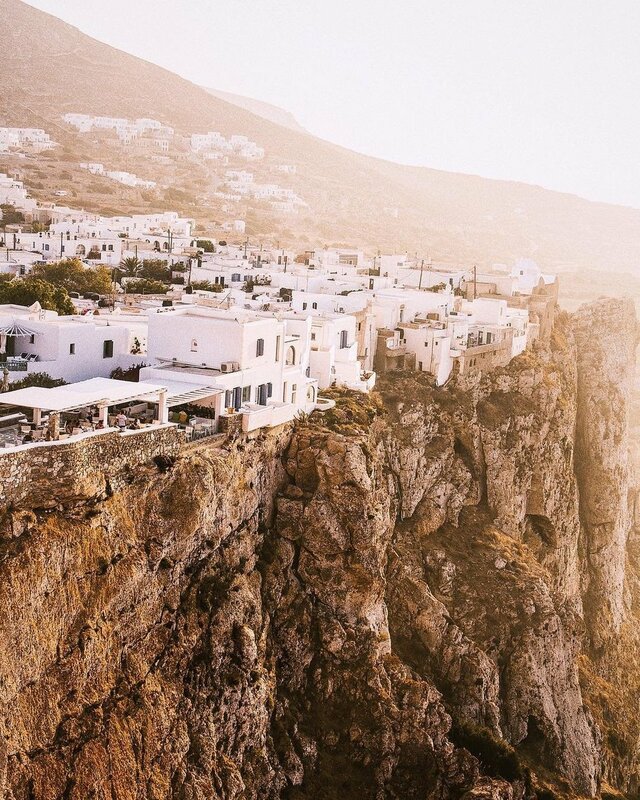 Tiny whitewashed houses on the on the edge of dramatic cliffs, zigzagging donkeys paths and outstanding views of the Aegean Sea could be a description of the famous island of Santorini. But it’s not. 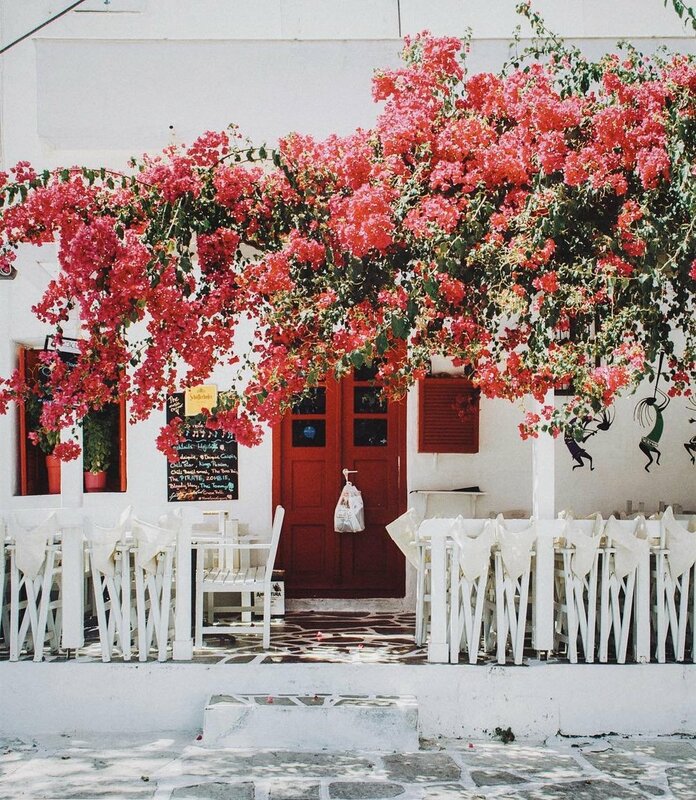 We are talking about Folegandros, a much quieter yet equally dramatic island on the Southern part of the Cyclades. This lesser known island has everything that we equate to the quintessential Greek Island – cascading bougainvilleas, cobbled stone paths, pristine white houses – without the inflated prices or tidal waves of tourists.